If you love cooking, you’d know an ingredient more or less can make or break the dish. Cooking requires skills, precision and time to make any dish perfect, especially if you are preparing curry. Curry is one of the best dishes to make as it is super-flexible, but all it needs is the right ingredients and the timing to cook it to perfection. While it may be easy to make any curry, you may encounter certain errors that can ruin your dish completely. The factors that can make or break your curry include how you cook your thickening agents like onion and tomatoes, how thick your gravy should be versus how thick it is, how big or small chopped ingredients you have put in, and how much quantity of ingredients you should have added. These are a few factors that may go wrong in your chicken or mutton curry making it unappetising. We jot down some cooking mistakes that you should avoid while making chicken or mutton curry. Onions and tomatoes act as thickening agents for any curry. Smaller the pieces your onions are chopped into, the thicker your gravy will be. The ideal way to make the curry is to have finely sliced or chopped onions that will ensure a thick and rich curry. In case you want a thinner curry, you could always add some water to the masala you prepare. Most of us generally don’t know the right order to make the curry base or masala. Your curry base should follow this order: first put oil, followed by whole spices (fried until fragrant), then onions that mixed well in the oil and cooked until they turn brown in colour, and finally ground spices, salt, ginger, garlic, and green chillies, which are mixed well and cooked about 30 seconds to one minute. Make sure the whole spices don’t get burnt. Ensure keeping the flame low or on medium. Garam masala is one of the most flavourful spices. It is a delicate blend of all important spices and should not be added in the beginning or middle stages of your cooking, as it will only omit its flavour that it is known for. Instead, always ensure adding garam masala when your tomato puree is completely cooked. This will help give your final dish a burst of flavours. Making curries needs ample amount of time, patience and slow-cooking to ensure full flavours are extracted from the spices. Fry the spices in oil, and then let the curry gently simmer until the meat, chicken or any vegetarian dish is cooked. Once cooked, your curry should execute some oil on the top. Curry provides a sensory experience, so you must smell it as you cook. As you cook the dish frequently, you will discover that each ingredient adds a hint to your curry. While spices tend to become more fragrant, onions start to smell slightly sweet indicating that it’s ready to be cooked further along with the ground spices. So, make sure you keep your nose engaged. A common mistake that you do is to not able to understand the quantity of salt that will go in the curry. In case you put too much salt, do not put extra water in it; instead just add a peeled, raw potato and let it cook for a while. The potato tends to soak up some of the excess salt, and you may just save your curry from ruining. 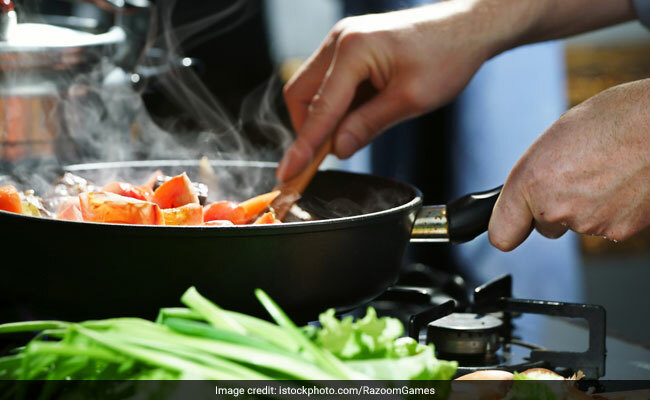 Avoid these mistakes and cook your curry to perfection like never before! Do let us know if you have any other common mistakes that we usually commit while making curries in the comment section below.